Thomas Wilk lives in Schwäbisch Hall, Germany. Thomas Wilk is responsible for the "Caterpillar SEVENTY FIVE YEAR" book, and together with Urs Peyer for the "Caterpillar book D9-D9R" and "Das Tagebaubuch" that certainly should be on the bookshelf of every earthmoving fanatic. Since 2004 he works for the publisher Heel to produce the "Big Earthmoving Calendar" with Caterpillar machines from all over the world. He is also affiliated with the magazine "Laster & Bagger", former BAGGERMODELLE in which he writes articles of scale models combined with background information on the 1:1 machines. And last but not least, Thomas Wilk also is a very talented photographer. His own company "TCC Industrial Communications" is specialized in industrial photography. He is best known for his beautiful construction and equipment calendars, which is every year a collectible in themselves. Out now and available is the new "Classic Calendar 2019". 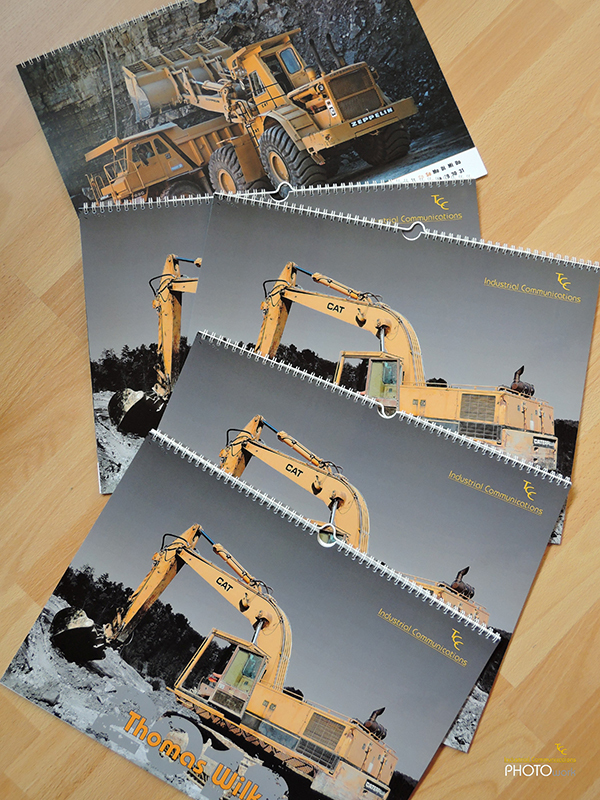 This unique calendar photographed and assembled in-house by Thomas Wilk contains beautiful pictures showing you a unique selection of the wide range of Golden Oldies and Classic Caterpillar Earthmoving equipment at work. Very cool to get and also nice to give as gift: 2019 up to date! Our advice: ORDER NOW! Curious? Click on the link to the website: "Classic Calendar 2019"
Thomas Wilk has made especially for those who were not able to visit the International Toy Fair aka Spielwarenmesse from February 1 up to February 4, 2018 in Nuremberg Germany, an Exclusive (Caterpillar) photo report during his visit so we can taste the atmosphere and get a glimps of all the beauty that awaits us in 2018. Curious? Click on the photo and enjoys all his albums! 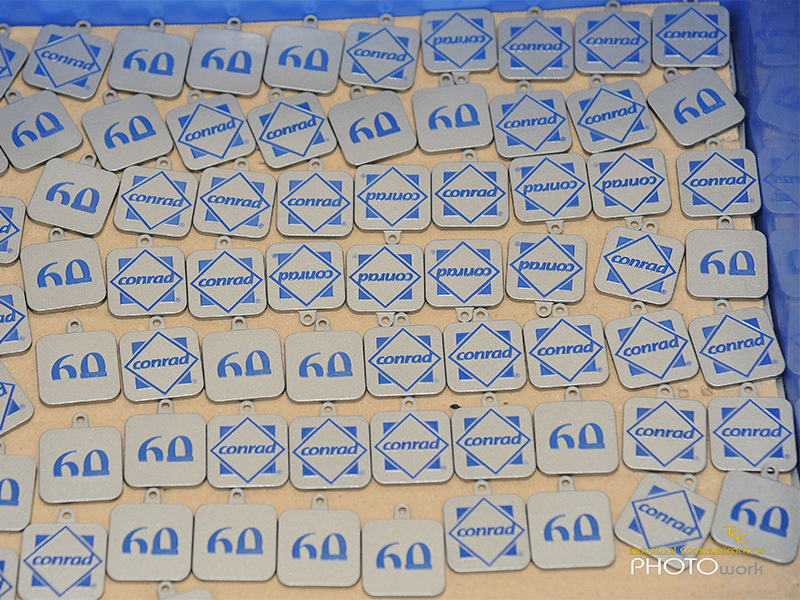 Saturday, June 25th 2016 Conrad Modelle celebrated in grand style the 60th anniversary of the company. Conrad Modelle (previously Gescha) is a German manufacturer of Diecast scale models primarily in 1:50 scale for use both as toys and promotional models by heavy equipment manufacturers. Conrad had the Caterpillar line of construction vehicles starting late 1960s through about 1992, but then the licenses changed over to Norscot. Thomas Wilk was invited and made an exclusive photo shoot of his visit to this special day in the history of Conrad Modelle in Nuremberg. Curious? Click on the picture and enjoys his photo album! Booktitle "Caterpillar SEVENTY FIVE YEARS -75 Jahre"
Language: Bilingual German / Englisch. Hardcover: 28 x 21 cm. Pages: 287. Publish date first release: 2000. Publish date second release: 2003. Looking back 75 years at Caterpillar earthmoving history. 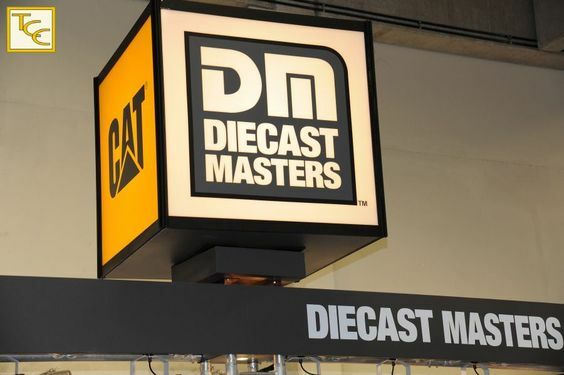 Detailed descriptions, more than 700 fascinating images of Caterpillar machines which are used worldwide. Complemented by a range of technical data in both German and English.From the contents: Tractors, Wheel loaders, Crawler loaders, Track-Type Tractor, Hydraulic Excavators, Articulated Dumpers, Rigid Dump Trucks, Compactors, Garbage Compactors, Graders, Scrapers, Caterpillar 830M, field reports, Pipelayers and Welding Tractors. Curious? Just order! "Caterpillar SEVENTY FIVE YEARS - 75 Jahre"
Authors: Thomas Wilk and Urs Peyer. Publish date: August 31, 2002. Thomas Wilk along with Urs Peyer's are responsible for the pictorial history of the legendary Caterpillar D9 Track-Type Tractor range from the first prototype to today's D9R, lavishly illustrated with photographs chosen from an archive of more than 30,00 slides. Includes DD9G Quad Trac, SxS D9G, Impact Ripper, ROC SAW and other D9 specials. The text in this book is in German, but the 450 wonderful photographs make up about 80% its content of in total 208 pages. Curious? Just order! "Caterpillar D9-D9R"
Authors: Urs Peyer and Thomas Wilk. Publish date: September 15, 2005. Subtitle of the German edition "Die größten Bagger, Radlader, Kettendozer und Muldenkipper im Einsatz". Mining on the surface of the earth is often committed with heavy machinery. Curious? Just order! "Das TAGEBAU Buch"